Format KurzmitteilungVeröffentlicht am 2018/10/06 2019/01/30 Kategorien ShowsSchlagwörter Arch Rivals, Arthur and The Spooners, Bad Co. Project, Brimure, Concrete Elite, Gimp Fist, Menace, mOi!n it's Hamburg 2018, Monkeys Music Club, The Hecklers, Trench, Ultra RazziaSchreibe einen Kommentar zu … MOi!n, it’s hangover again: Part 3 of that little gem with some nice surprises! … small crowd enthusiasm: Trench and Komintern Sect at the Monkeys! It’s been a while: Work, a near death experience (men flu) and a not so great rooster had me away from live mu-sick for January but that had to stop. And the best to stop it was a band that had been a secret love for ample of years, so the return of Komintern Sect was a date not to be missed. 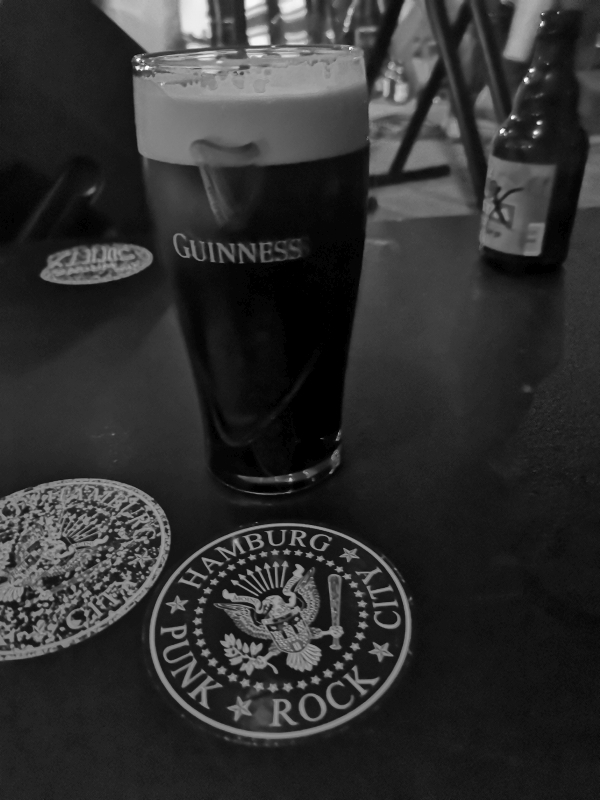 Paired with them Frenchies was Trench, who invented a neat lable for themselves: „Rough Øresund Streetpunk“ as in 2 ex-Lost Warning members from sunny Malmö paired with two danish (?) guys. And apparently not a single show under their belt. 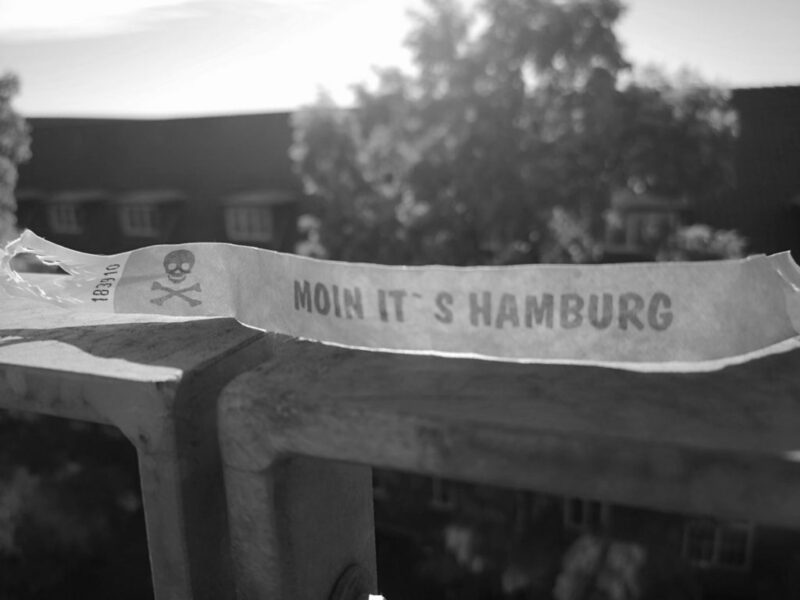 But hey, was Hamburg not anyway the place where bands strike fame on their initial years? And that’s how they sounded like: Energy, power and a great way of twin vocals between the singer and the guitar player. Actually that one thing made them stick with me big time – i loved their short (7 songs) but tight set to the max. And i was not the only one, the rather spare crowd at the Monkeys gave quite some attention to Trench and cheered them up a wee bit more than usual for a support band. Best moment was when Trench had completed their set and listened in awe to the audience cheering „the whole set again, the whole set again“ upon disclosing that they could not do an encore due to the lack of more songs. Wow – that was a stunning set by a fresh band, i am looking forward to more. If they can stick to it and if they can capitalise their unique twin singing then they shall be a force beyond that bridge area. Next on Komintern Sect and unfortunately the audience did not really grow by magic – only those who were glued to the bar or smoking in the pub earlier added to the numbers. Konintern Sect hail from Orléans, a french dwelling that can happily claim to have been conquered and destroyed by Julius Caesar in 52 BC – as long Komintern Sect seem to be around in the French scene and have well aged (despite that little belly growing on Carl). 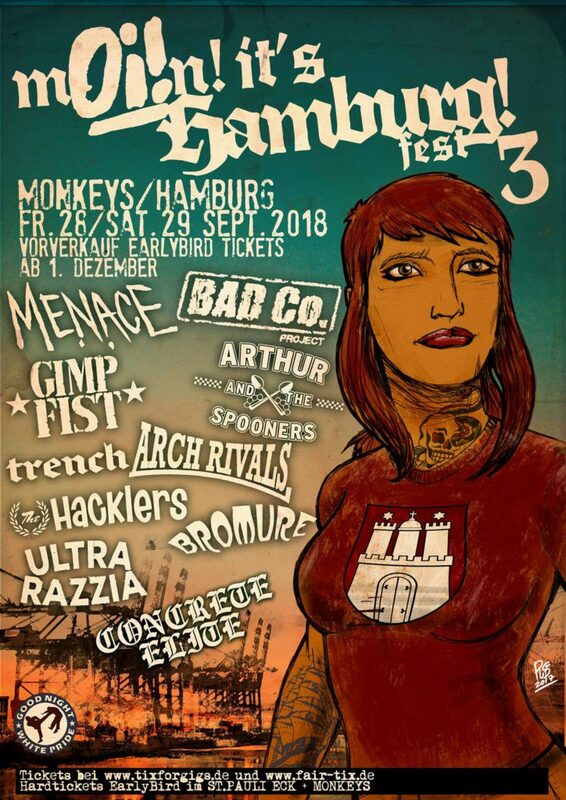 What is worth to note is that they took a flight to Hamburg just to play this single date and most likely to enjoy the weekend in Hamburg. That is indeed humble and is just another praise for that little hut called Monkeys out there in Altona (the danish part of Hamburg, just another history lesson for you lot). Yes, they where great. 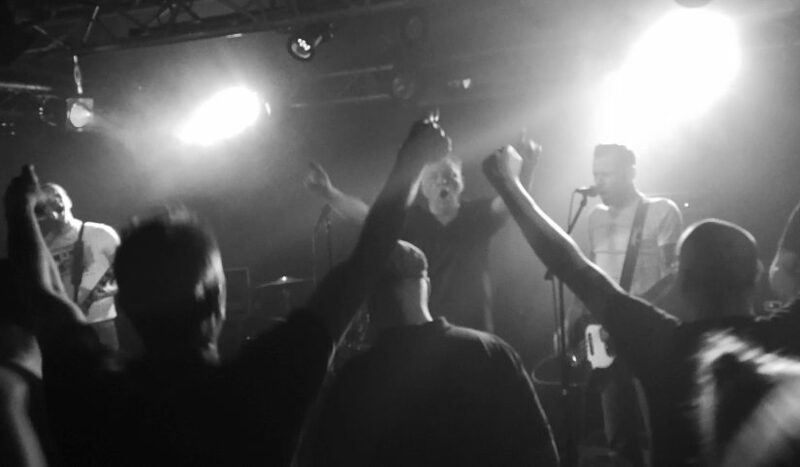 They even sounded better than the last time i saw them in Hamburg and me and me mates thoroughly enjoyed their set. I think after a long long mu-sick-al path they have found that little niche that fits them and gives them the positive feedback they deserve. And no set of them is complete without that song to come, one of the signature songs of French punk (and most likely the setting stone for the French Streetpunk and Oi! scene). And indeed that was another smasher that had the crowd on sing-a-long mode and dancing. (I gotta show it because i love those visuals in the video to the max). Komintern Sect did beat Trench on songs, they had 17 in their portfolio and they where pressed by the Hamburg lot to play some yet again – there was no stopping in encore requests and cheers. And thus me and me mates where in a jolly good mood, got fuelled by some more booze and had more chats and drinks before resorting home in a perfect TGIF mode. Great show but definitely a turnout too small. It was frickin‘ cold in Hamburg but that is not a valid reason to not show up. But those who did gave all their best to cheer two great set’s by two willing and able bands. And that’s how it should be. Are ticket collectors pretentious arseholes? 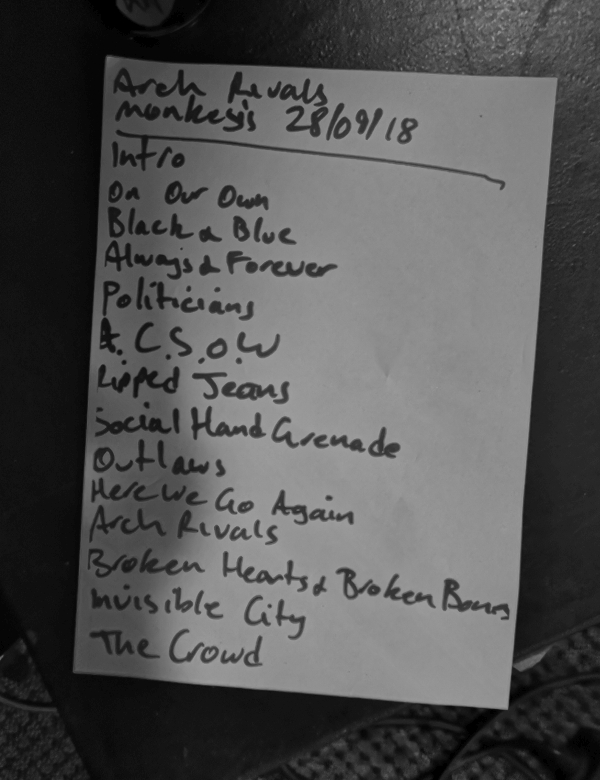 Format KurzmitteilungVeröffentlicht am 2018/02/11 2018/02/13 Kategorien ShowsSchlagwörter Komintern Sect, Monkeys Music Club, Trench1 Kommentar zu … small crowd enthusiasm: Trench and Komintern Sect at the Monkeys!